Covered in glittery hearts, this bow represents Love, Actually! 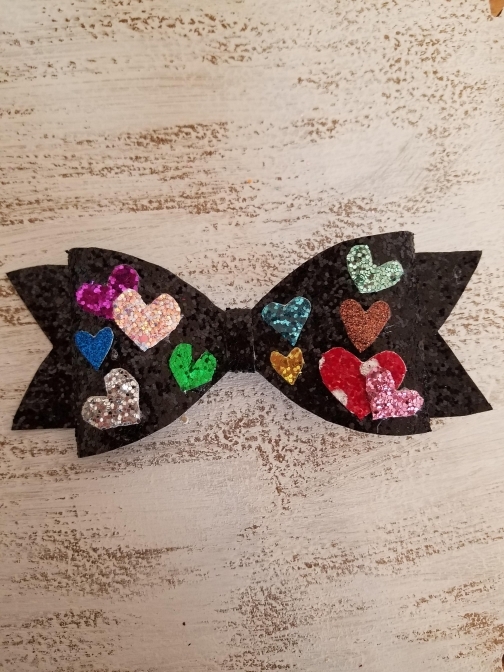 All Love, Actually bows come on a glittery black background with approximately a dozen hearts. No two are exactly the same.